LED Downlights. 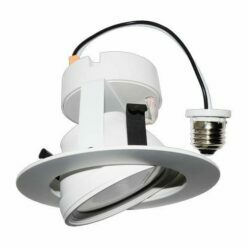 Flexible, easy installation spot lighting. Variety of CCT. LED Downlights. Kits available for 4″, 5″ and 6″ cans. 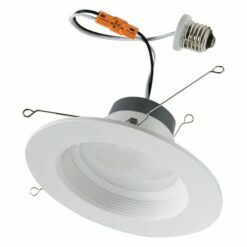 Ceiling mounted luminaire accommodates interior installation for commercial and residentail properties. Suitable for new construction and remodeling projects. Standard 0-10 vDC dimming. Available CCT include: 2700K, 3000K, 4000K and 5000K. Compatible with insulated and non-insulated air-tight ceilings. Easy installation. Ordering Bulk Qty or a Variety of Products? Contact EcoCentricNow to Receive a Quotation. Questions or Comments about Our Products or Service? Please Share! EcoCentricNow LLC (ECN) manufactures and distributes LED lighting merchandise and accessories that deliver lasting performance, provide cost savings, and support environmental stewardship. EcoCentricNow LLC © 2019. All Rights Reserved.